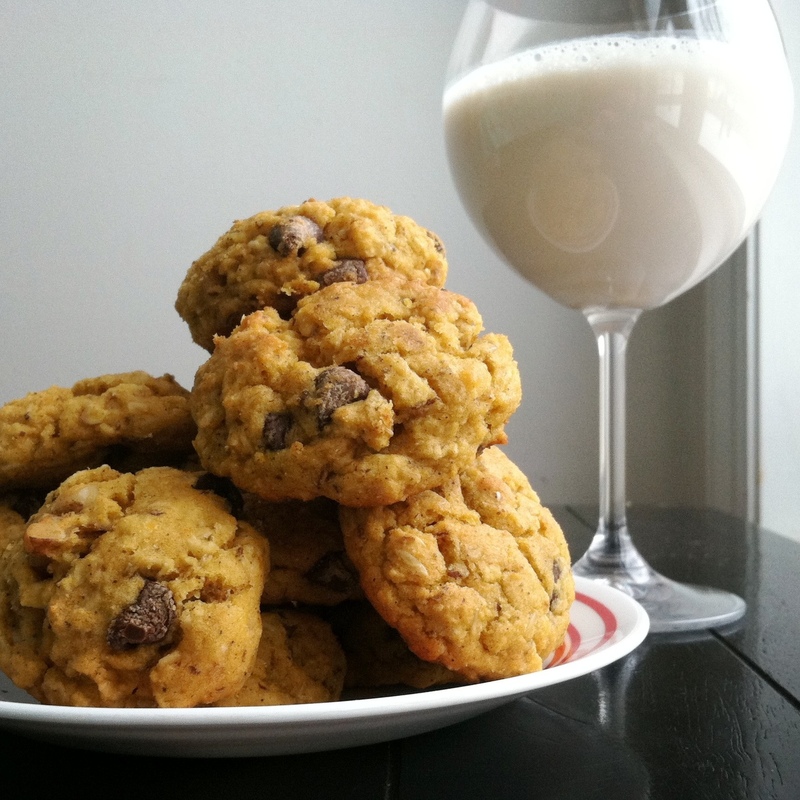 Pumpkin Chocolate Chip Cookies. | Eat More Plants. Ok. Just made the best cookies. Gooey, chewy and perfect. I’m in cookie heaven. I came across this recipe on this blog, which has some of the BEST vegan recipes I’ve encountered. You must check it out. This is the same blog I found the pumpkin hemp seed chickpea fritters on. I stumbled upon her 25 Best Vegan Pumpkin Recipes post and seriously considered making everything on the list. I’ve had it bookmarked for weeks and I’ve thoroughly enjoyed them all! 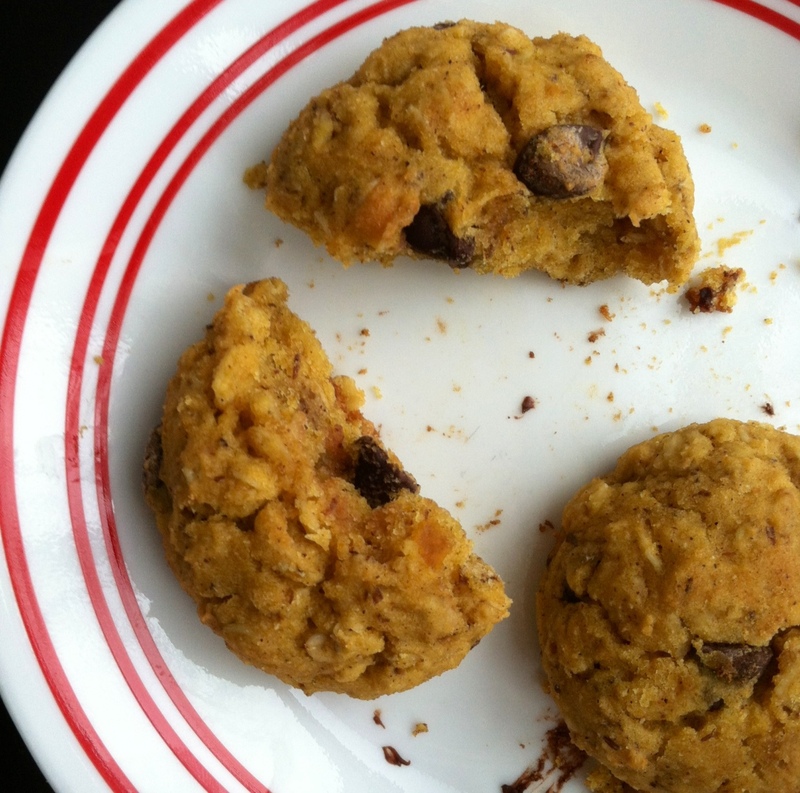 So, here is the vegan pumpkin chocolate chip cookie recipe. You won’t be disappointed. Sift all dry ingredients and mix well. Roll 2 tablespoons of dough into balls (or bigger if you prefer) and place on parchment covered cookie sheets. You’ll need two sheets. Bake for 12 minutes. Bigger cookies will need a few more minutes. Check for doneness by outer edges getting slightly browned. Cookies will become more dense as they cool. Let them cool for 5 minutes before moving them to a flat surface to cool. Makes about 2 dozen. Store in an airtight container. Fudge. Chocolatey Peanut Buttery Fudge. Do you know if it is possible to substitute an egg back into this recipe instead of the flax/water mixture? Just realized I ran out…Thanks!! !